I couldn't feel any more alive. I literally just finished watching the ep, another Ben-centric classic, and I'm euphoric. Best ep of Season 5. Soooo good to see Smokey, Desmond, badass Ben and wicked Widmore, and some great acting between O'Quinn and Emerson. First of all, let's start with one of my favourite set of flashbacks. First of all we have Widmore (who I thought the casting(s) for were really good) meeting Ben for the first time. Then we see a teenage Ethan, who gave me one of my many Lostgasms for this ep, with the kidnapping of Alex! After Danielle's backstory earlier, I thought we would never get to see the kidnapping itself, so I had another lostgasm (even if it was another continuity error with Danielle's account). My third lostgasm in the scene came from the mention of the whispers. I always feel good when the writers mention a mystery I thought they had forgotten about/ignored. Then we have the scene with older Widmore, which was a pretty cool scene to explain the origins of the rivalry with the daughter whose death sent into the next level. Next up was Widmore's exile, which I was glad wasn't via the wheel, they've come pretty close to wearing out its hinges. The mention of Penny, those Rules, and the foreshadowing of Alex's fate made this scene even more fulfilling. Cut to 2008, to the first time we've seen Desmond in six episodes. Has it really been that long? As an LP forums member said: "I thought I loved Desmond, but I hardly noticed his recent disappearance". His pwnage of Ben was excellent however. Another interesting parallel was to Sawyer's first flashback where he couldn't go through with his con after seeing the kid, just like Ben couldn't pull the trigger in front of Lil Charlie. Sun and Frank's reappearance was perhaps the most boring part of this ep, a "Getting you where you need to be" scene that have been quite common lately. But where do you not want to be? With the Monster, that thing is INSANE. 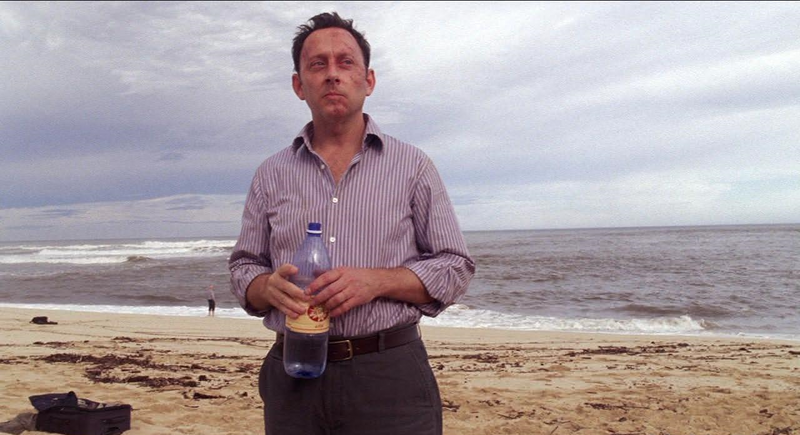 My favourite Lost mystery, the thing that got me hooked on the show really delivered tonight. Plenty of confirmations about it, and is definitely the mind/voice of the Island. If Ben needed any more reason to trust Locke, he got it with his hot dead daughter threatening to "destroy" him. And speaking of hot mysterious women, what is up with Illana? Does she know about the statue? How come she's got allies on the plane? For the first time, I've got reason to be really interested by her character. In conclusion, awesome ep is awesome. Are Some Things Best Left Unanswered? Submit your questions for Leslie Ishii!